It's Springtime & Energy Efficiency is in the Air! It's almost time for spring cleaning, why not add scheduling your Home Energy Assessment to the top of your to-do list? Need help selecting a contractor? Call 914-302-7300 for quick and easy assistance or refer to Energize's List of recommend contractors. We've narrowed the list to local contractors with positive customer feedback surveys. 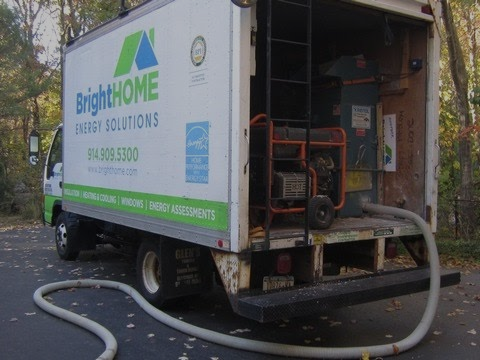 Watch BrightHome Energy Solutions in Action! Energize NY: How long have you been in the business, and what led you here? Tom Brown of Bright Home: As homeowners and parents, we were concerned about our impact on the environment and the rising cost of energy. We discovered that with a relatively small investment we could make a dramatic difference in our energy usage. This discovery was the birthplace of BrightHome. Since 2009 we have helped Westchester homeowners reduce their energy consumption and energy costs, and have made their homes more comfortable. In 2015 alone, our customers saved money and reduced their carbon foot print by over 525 tons, which is the equivalent of taking 110 cars off the road. Call Energize to get started on your Spring Cleaning List! Energize NY is looking to hire a paid summer intern. Do you know of any high school seniors, college students or recent graduates looking for a summer internship? Click here for the full job description. Please share! Copyright Â© 2016 EnergizeNY, All rights reserved.